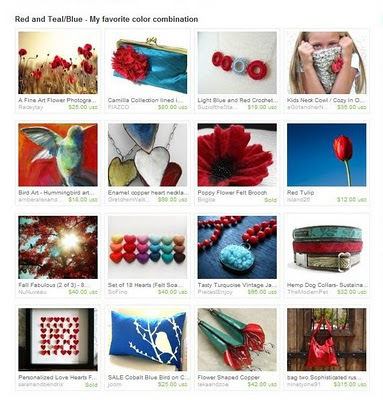 What a BEAUTIFUL Treasury! I love all the bright, fresh colors Mimi Michelle Jewelry picked for this Treasury. "Red and Teal/Blue - My favorite color combination"
Thanks Mimi Michelle for including my Kids Neck Cowl/Cozy! You can find it in my Etsy store Here - and check back soon for Adult Cowl's, Cozy's, and Scarfs just in time for the cool weather!